During the 19th Century, the railroad industry spread all across the world from it's beginnings in the United Kingdom. The United States, Canada and Mexico all owe the industry greatly for developing their interior. Indeed, the American West would look a lot different today were it not for the railroad industry. While large, intercontinental railroad lines make perfect sense, and are the backdrop for American lore, railroad have also been built all across the world, including many remote and obscure places. Here are some examples of railroads that have been built in extremely remote destinations. 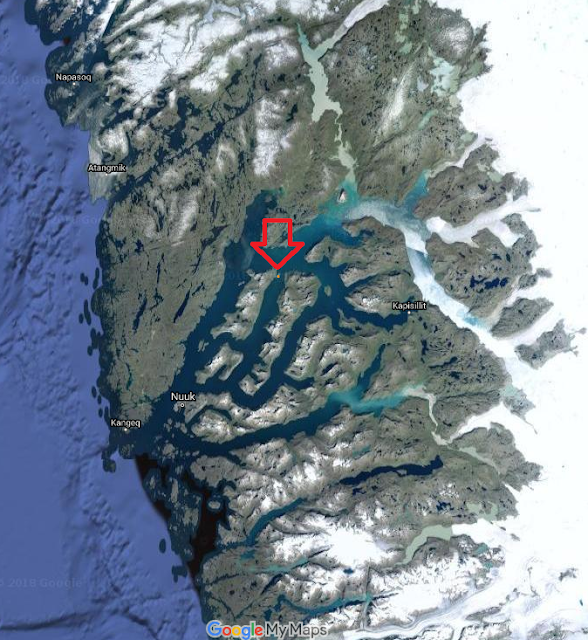 With a population of about 56,000 people spread across a mostly frozen tundra, one wouldn't expect Greenland to have much, if any, railroads. That, for the most part is true, however, there have been a few railroads built for the specific purpose of transporting goods to and from boats. 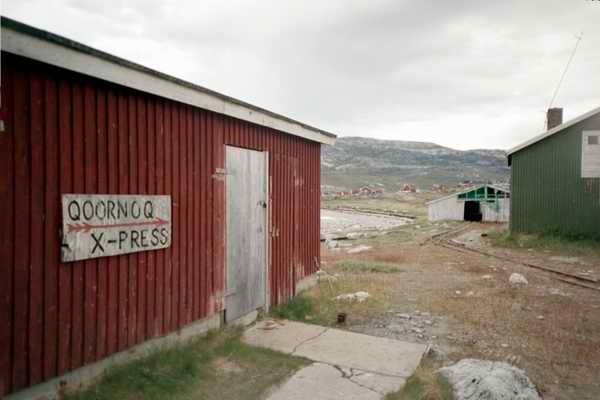 Such is the case of the Qoornoq Express, named for the Village of Qoornoq, which, along with the railroad, appears to have been abandoned in the 1970's. It is a near certainty that this line wasn't powered by steam or diesel, and was simply designed to make transporting cargo easier on the villagers. It's design thus features some interesting and unique elements, such as this turntable. From malmborg.info, "Nordens Järnvägar 1976" the "Kongelige Grønlandske Handel" built a facility for the drying of fish at Qoornoq in the Godthaab fjord in 1955. 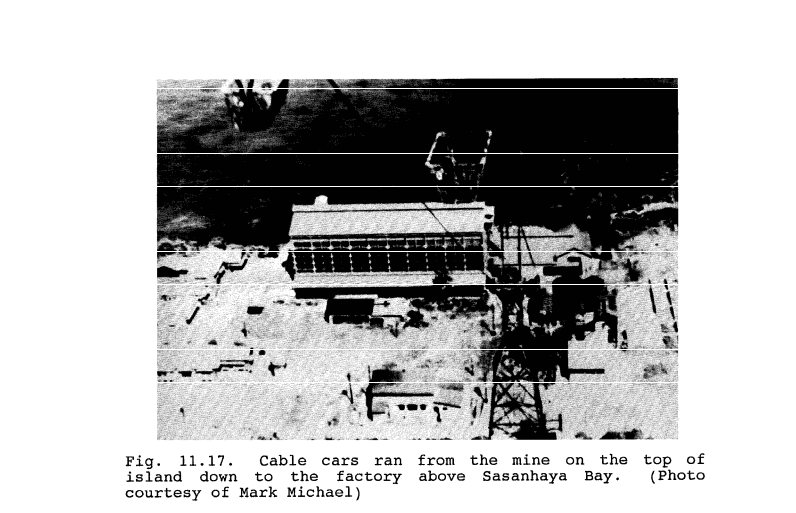 A 600 mm gauge railway was used for the transportation between the drying scaffolds and the harbour.The facility was closed in 1971 when Qoornoq was abandoned and the inhabitants moved to Godthaab." The Apostle Islands. 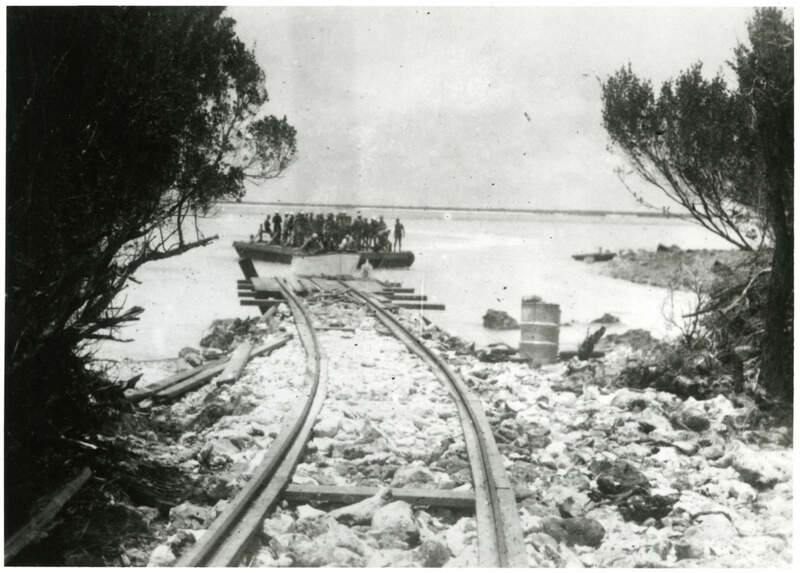 There was a tramway on Devil's Island (far northwest) and a logging railroad on Devil's Island (northeast). The Apostle Islands archipelago is an island chain within Lake Superior, and the farthest north lands in the State of Wisconsin. 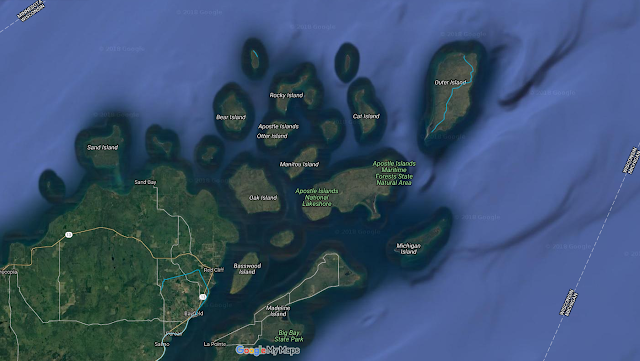 The islands are all part of The Apostle Islands National Lakeshore. Sandwiched between Minnesota and Michigan, they are nonetheless a spot where railroad activity once took place. 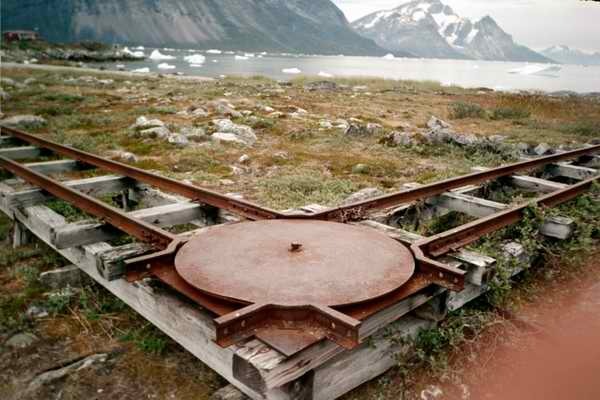 On Devil's Island, the northernmost island, existed a tram road, which originally was "powered by residents, but later had engine power" (National Park Service, p. 141). The rails still exist to this day, and as there are no more residents on the islands, it is likely they will be there for a long time. Looking south on Google Maps from Devil's Island Lighthouse. Outer Island, the largest of the Apostle Islands, and 15 miles from the mainland, was once home to a logging railroad that has since been lost to time. It is now partially used by a walking path extending from the south end of the Island up to the north. I'm not sure of the correct location of the railroad, but as small as Wake Island is, I can't be too far off. Pan Am Railways began service in 2006 in the northeastern US, after having their naming rights acquired from the defunct Airlines, which were very well known in the 20th Century. Yet Pan Am actually built a railroad line in 1935. In the 1930's, the United States was quite weary of the potential for an air attack from Japan. Their fears, of course, would come true on December 7th, 1941, sadly. Pan Am Airways was also looking to expand their service area, and as such, partnered with the US Government to expand military facilities on Pacific Islands under the guise of commercial aviation operations. This led to Pan Am transporting the necessary materials, and a 5-ton locomotive, to power a 1/2 mile railroad line on Wake Island, specifically for transporting military and other cargo onto the Island. This line was likely only used a few times before serving it's purpose, but thankfully was preserved in history by an unknown photographer. 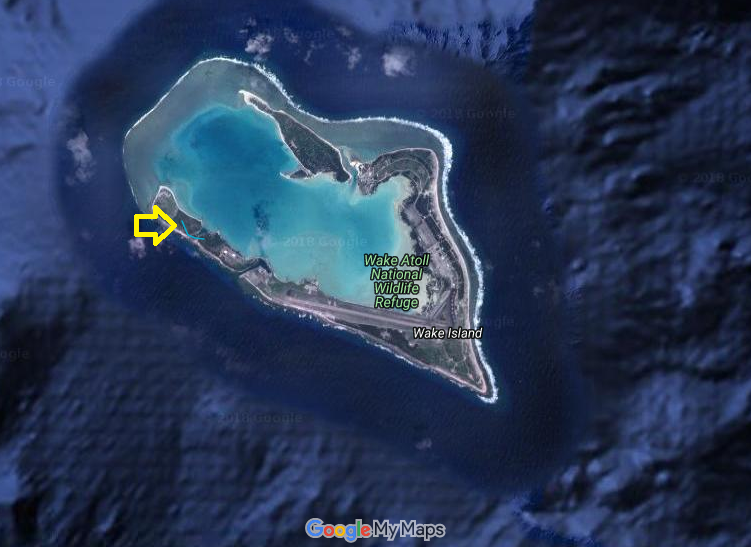 Wake Island wasn't the only small Pacific Island in which a railroad called home. 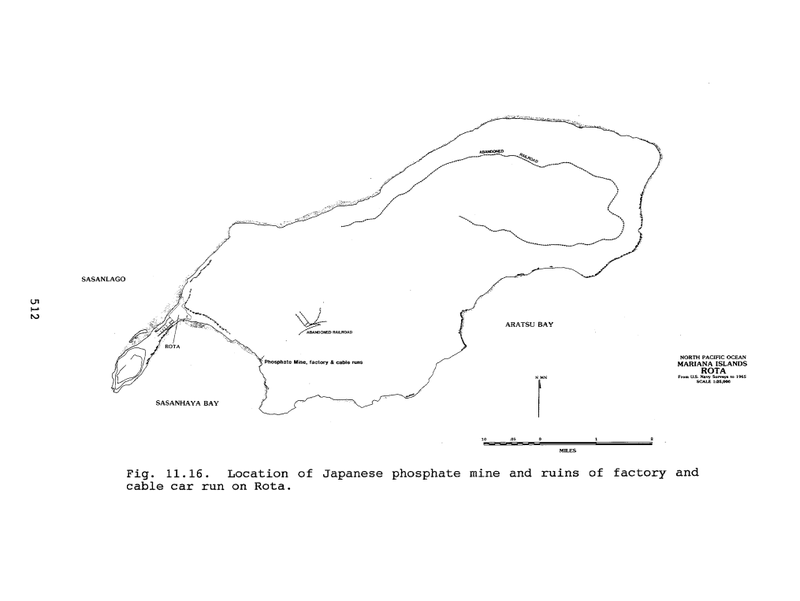 In fact, Rota, part of the Northern Mariana Islands, actually had two lines, both of which were for the transportation of phosphate from mines onto ships at the coast. Both of these lines were built by the Japanese between World War I and World War II, and weren't studied by the United States until much later. Their only mention comes from a report which lists the ruins as having been discovered in the 1980's. 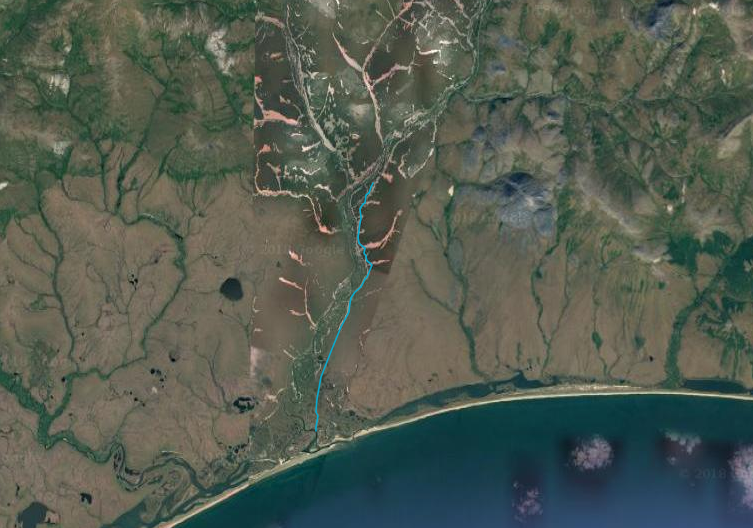 Located about thirty miles east of Nome, AK, the Council City & Solomon River Railroad is by far the largest railroad on this list, although it would never extend anywhere near the 134 miles it was planned by it's developers. The line would only run for five years, before, like so many other railroad projects, the money ran out, and the complex logistical challenges of transporting construction materials to far Western Alaska got the better of the line. A major storm would be the final nail in the coffin for the railroad, and the rolling stock would be left intact and in place, to the mercy of Mother Nature. 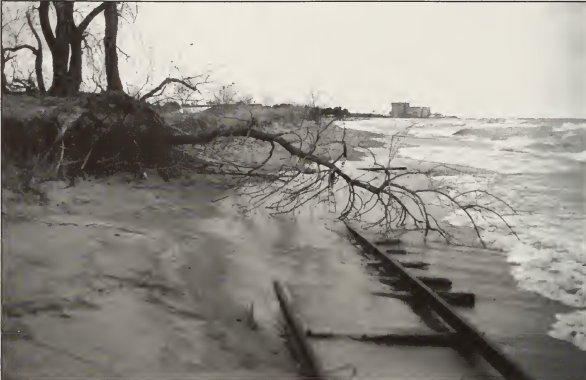 The last train would run in the Fall of 1907, and the storm which destroyed the tracks occurred in 1913, sealing it's fate. Since then, it has developed the nickname as "The Last Train to Nowhere", which fits perfectly given it's setting, and yet when compared to the other lines on this list, doesn't quite seem right, as Alaska has had, and continues to have, plenty of railroads running through it. According to sinfin.net, even Antarctica has had railroad lines, much for the same purpose as the one in Greenland, to transport cargo from ships onto land. 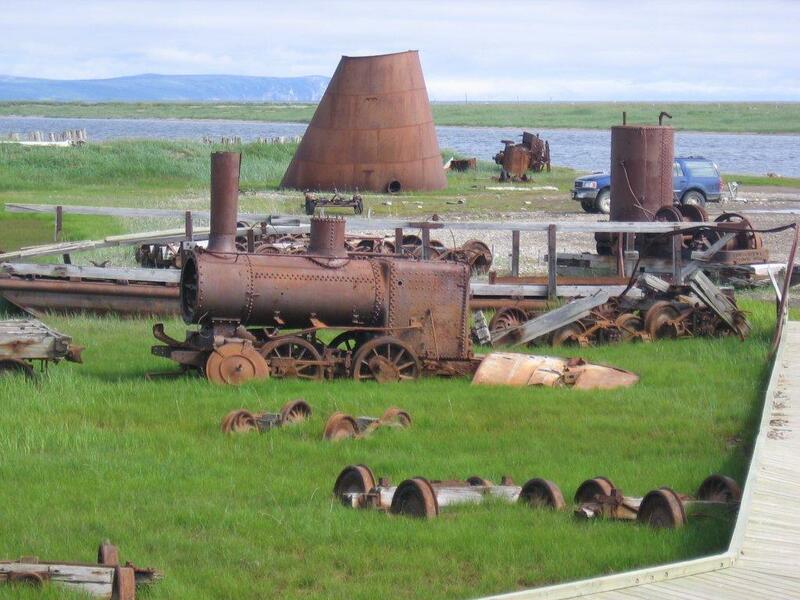 The site lists three such railroads which have existed on the Antarctic continent, but none that are running today, at least per the knowledge of the website. There are very few places on the planet to which anyone can say with great certainty that a railroad has never operated. Thus, my list of obscure railroads is not to be considered a complete list, and as such, if you know of any other lines not mentioned, please let me know in the comments. As the County immediately north of Cook County and the City of Chicago, as well as south of Milwaukee, and with Lake Michigan to it's east, Lake County has a ton of railroad history, as many lines passed within it's borders. 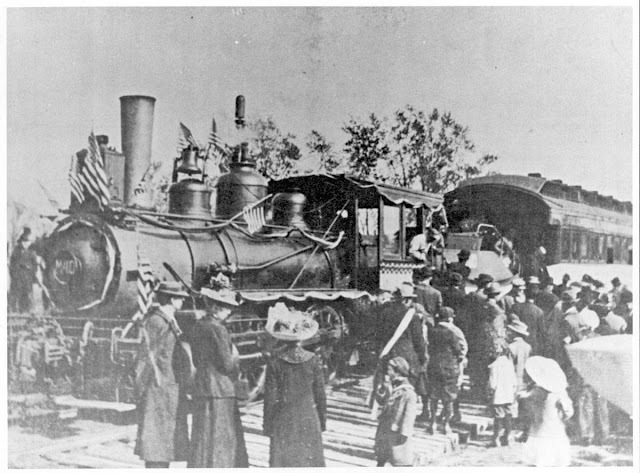 To this day, the railroad industry remains an integral part of the county's transportation infrastructure, as four passenger lines run within the county, en route to Chicago. Today's blog will be a focus on the history of Lake County's railroads. Thanks to Metra for providing some of these histories on their website. 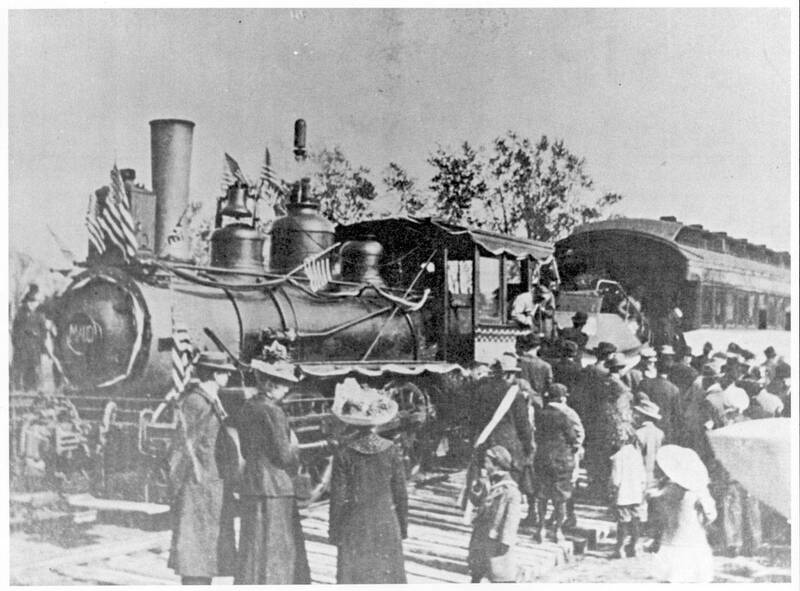 Railroad service came to Lake County in the 1850's. In 1854, the Chicago & Milwaukee Railway began operations between it's namesake cities, and the Illinois & Wisconsin Railroad followed shortly after, running trains from Chicago to Janesville. Both of these pioneering railroads are long gone; but their routes remain to this day. Each railroad, The Chicago & Milwaukee, and Illinois & Wisconsin would be predecessor routes for the Chicago & Northwestern Railway. When Union Pacific merged with the Chicago & Northwestern in 1995, these lines became the Union Pacific North and Union Pacific Northwest Metra lines, respectively. In 1872, the Milwaukee Road (at this time named the Milwaukee & St. Paul Railroad) came to Chicago from Milwaukee, and then changed their name to the Chicago Milwaukee & St. Paul. Today's Milwaukee District North Line runs along the same trackage, but is owned by the Canadian Pacific as the Milwaukee went bankrupt in 1989. In 1880, Milwaukee Road would expand it's operations, creating it's own route to Janesville diverging from the mainline at Rondout. Nowadays, that line runs primarily passenger traffic, although did run two freight trains a night from the Wisconsin Southern Railroad (as I soon learned living near it). 1886 would add yet another line running through Lake County, as the Wisconsin Central would build a competing line through central Lake County between Chicago & Milwaukee. 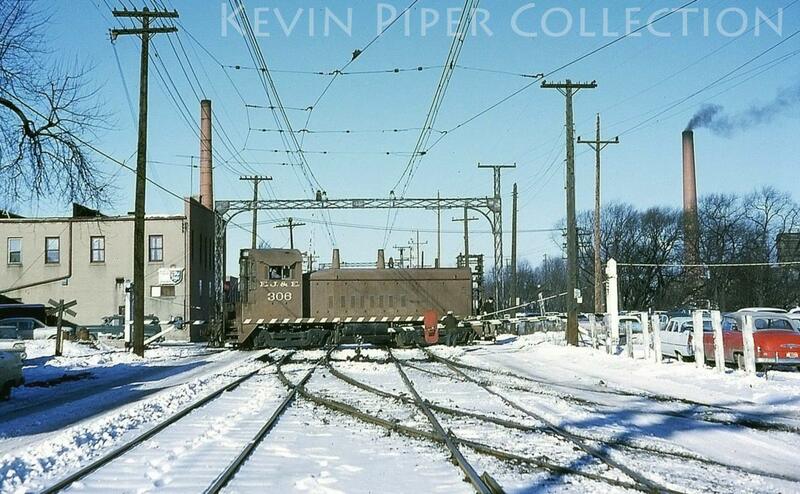 It was later merged into the Soo Line, and merged once more into Canadian Pacific. Reorganization occurred in 1987, creating the Wisconsin Central Limited, which is now a subsidiary of Canadian National. In 1996, passenger service was restored along this line as Metra's North Central Service. Canadian National would steadily increase it's presence in Lake County through it's purchase of the Elgin, Joliet & Eastern Railway in 2008. 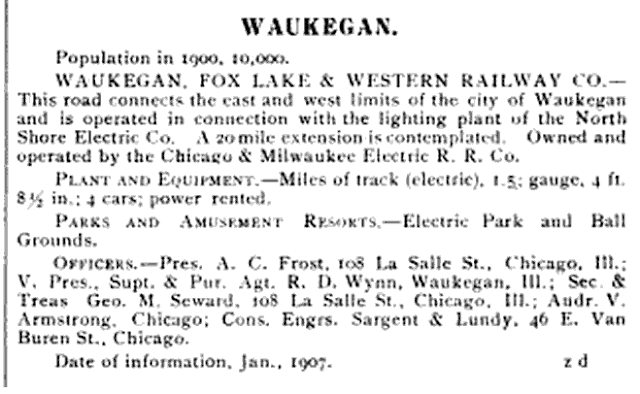 The Lake County portion of this line would get it's start in 1891 as the Waukegan & Southwestern Railway. It was acquired by the EJ&E shortly thereafter, with passenger service ending in 1909. It nonetheless remains a very busy freight line in Lake County west of Leithton junction. East of Leithton, the line only serves a few customers a week in Waukegan. While most of the large railroad lines still in service today would be built in the 19th century, in 1904, the Chicago & Northwestern would split their mainline between passenger trains and freight traffic, which still is the case today. The Early 20th Century saw an abundance of interurban and electric railroads in Lake County, some successful, some not. One of the least successful lines was the Waukegan Fox Lake & Western Railway, which ran along Washington St in Waukegan. 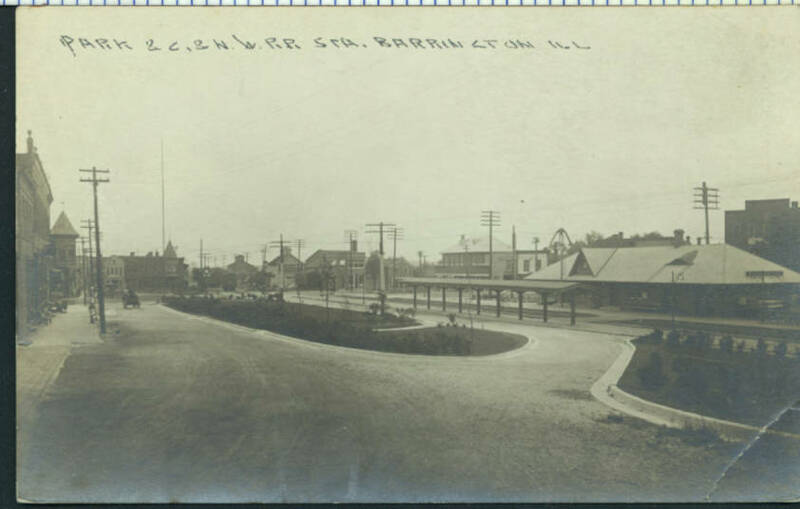 Owned by the predecessor to the Chicago Milwaukee & North Shore Line (A much more successful interurban), tracks were laid through Waukegan on Washington St, with plans to be extended into Fox Lake. It would be muddled by a lack of funds and public opposition, and would ultimately be abandoned in 1916, leaving no traces, no photograph and very few maps of this line. The Chicago & Milwaukee Electric Railway Company was purchased in 1916 and reorganized as the Chicago North Shore & Milwaukee, known as the North Shore Line. This electric line would be one of the most successful interurbans in the country, surviving and thriving during World War II, connecting the North Shore communities to the major metropolitan centers of Chicago and Milwaukee. Nonetheless, the North Shore Line couldn't beat the automobile, and the line folded in 1963. Thankfully, due to the efforts of many individuals and organizations, such as the Illinois Railway Museum, and the book Days of the North Shore Line, the history of this route is quite well preserved. One can also take a ride on the cab, in black and white, from 1945. An EJE Locomotive crosses the North Shore Line. Today, this is the intersection of MLK Jr. Dr and Commonwealth Ave in North Chicago. 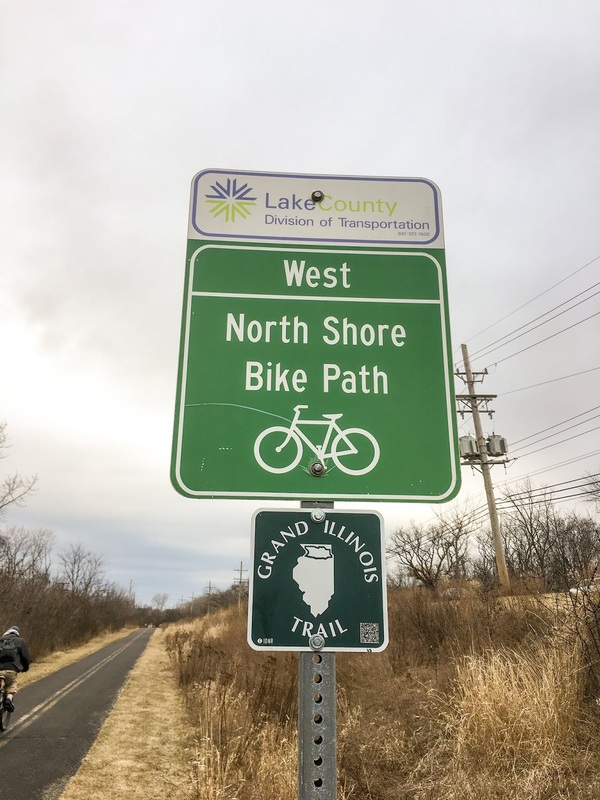 Today, the North Shore Line in it's entirety is part of Lake County's trail network. The Robert McClory Bike Path uses the line which paralleled today's Union Pacific North Line, the North Shore Bike Path uses the Libertyville Division spur which ran from Mundelein to Lake Bluff, and the Skokie Valley Bike Path parallels Union Pacific's freight branch. On the ROW of the Libertyville division just west of the junction with the Robert McClory Bike Path. Lake County, like most places has a significant amount of abandoned lines, like the aforementioned North Shore Line. All of the lines which I've found have been listed on the map above. 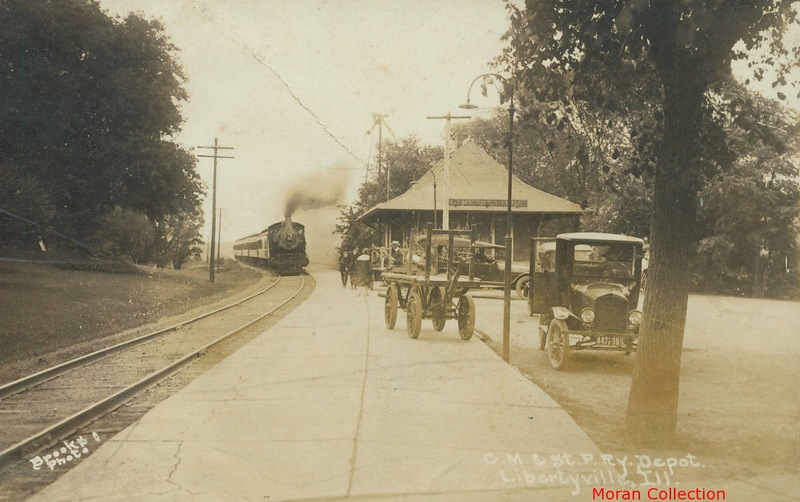 A very short spur connected Fort Sheridan near Highland Park and Lake Forest with the Union Pacific North Line. Constructed in the 1940's, it's crossing at Sheridan Rd wasn't officially closed until 2001. Fort Sheridan today is mostly disused, and the former barracks are now luxury townhomes. Sadly, I have no information on this line, other than it no longer showed on topo maps after 1928. 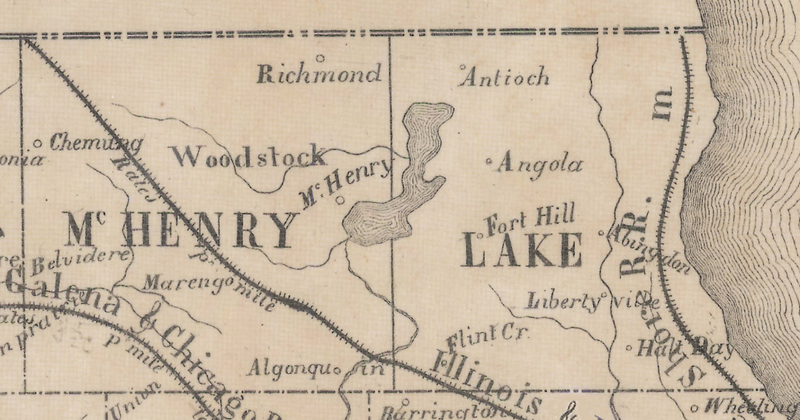 The Palatine Lake Zurich & Wauconda Railroad was originally envisioned as an interurban line, which would have extended all the way up to Fox Lake, and connected with the Fox Lake and Western (itself never reaching Fox Lake, or out of Waukegan for that matter). Instead, it was built as a steam line to Wauconda, opening up southern Lake County to the railroad network and a connection to the Chicago & Northwestern Railway in Palatine. Sadly, the line could not compete with the automobile, especially as local roads in the area improved. The line, built in 1912, only ran until 1924 before being abandoned. There are scant few traces of the line today, most of which parallels Old Rand Rd and the current US 12. A full blog, and a book exist with plenty of information on this relatively small and very old abandoned railroad. 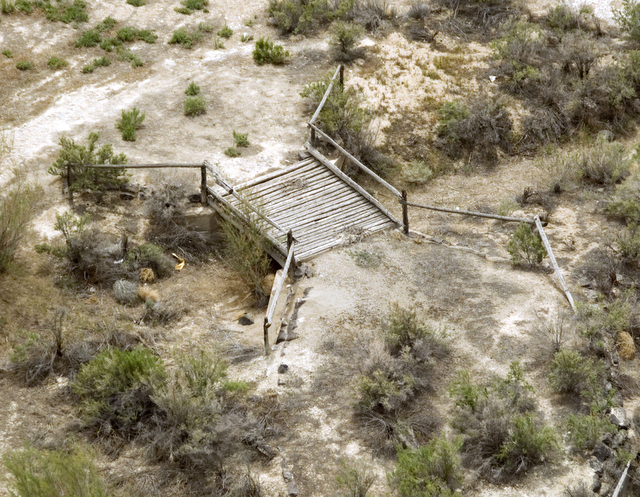 This spur was used to transport sand, gravel, and beach-goers to and from Illinois Beach, but was abandoned very early in the 20th Century. Nonetheless, the tracks have appeared from time to time at very low tides, but are generally buried under dirt, rocks, and sand. These tracks were the subject of my second blog. 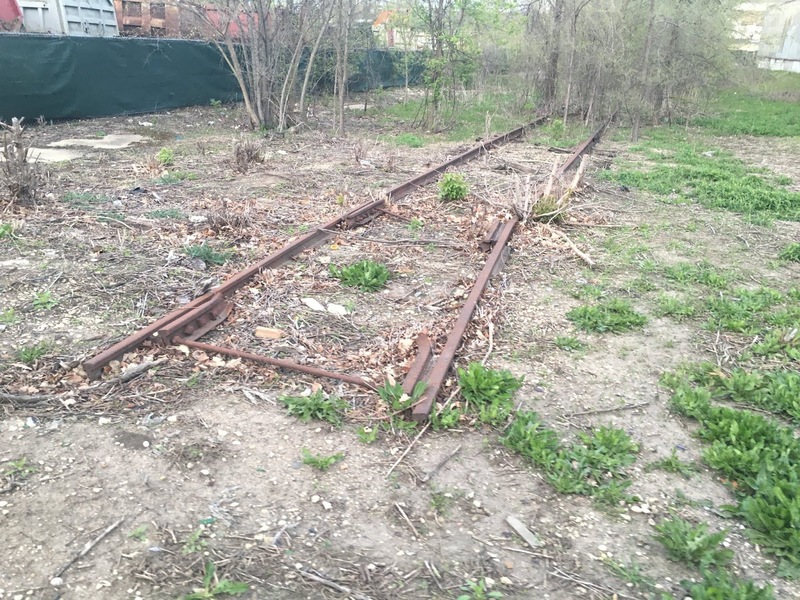 Another spur existed closer to the Wisconsin State Line in Winthrop Harbor, but to my knowledge, all traces and trackage from that line are gone. 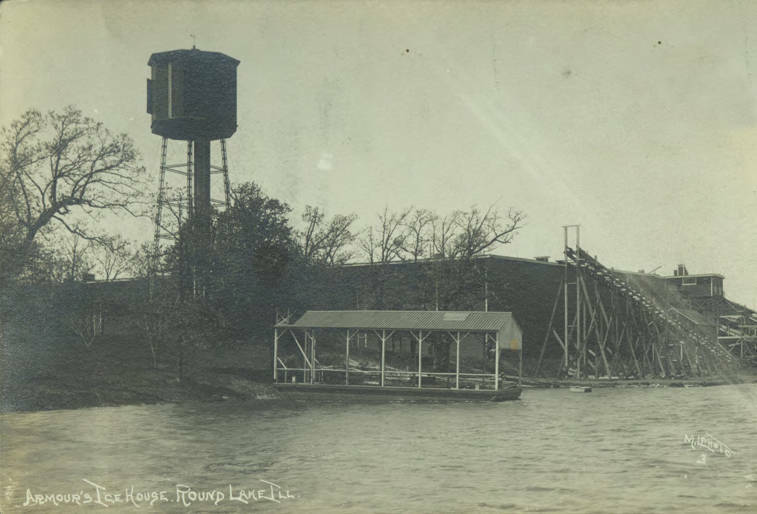 The California Ice and Coal company operated an ice house in Antioch, using Channel Lake and Lake Catherine for production, and shipping via railroad. 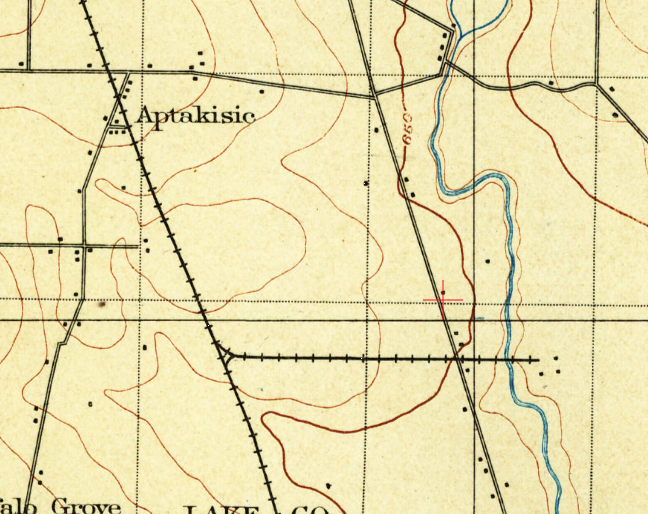 No trace of this spur exists, but the neighborhood to the east of Lake Catherine is to this day known as the California Ice and Coal Subdivision. Ice house spurs also existed in Fox Lake and Round Lake. In North Chicago and Great Lakes Naval Base, there exists plenty of abandoned spurs from the Union Pacific and Canadian National (former EJE) lines in the area. In most cases, the tracks are still there, but disconnected from the railroad network and disused. A small spur off the Milwaukee District North line existed originally to serve a lumber yard out to 1st St, and had another track which extended south to near IL 176. Looking east from 2nd St, where the railroad tracks end today. This photo was taken in 2017. The line hasn't been used since the 1980's. 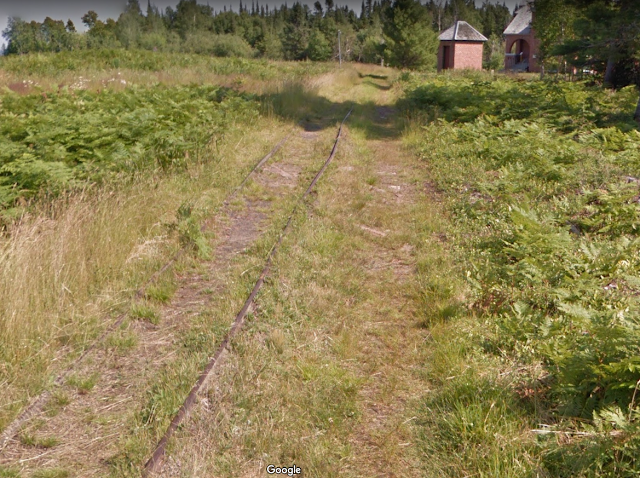 Although the line disappeared from maps in the 1980's, the track still exists behind what is currently an abandoned warehouse. While my focus in this blog post is on abandoned railroad lines and companies, no history of Lake County's Railroads would be complete without mentioning Rondout. The unincorporated town of Rondout was once a stop on the Milwaukee North Line up until the 1980's, and is the spot where the line diverges from the main line enroute to Janesville, WI, as well as crosses the former Elgin Joliet & Eastern. If that weren't enough, at this junction was once a crossing with the North Shore's Libertyville Division as well, which goes over both tracks today as the North Shore Bike Path. 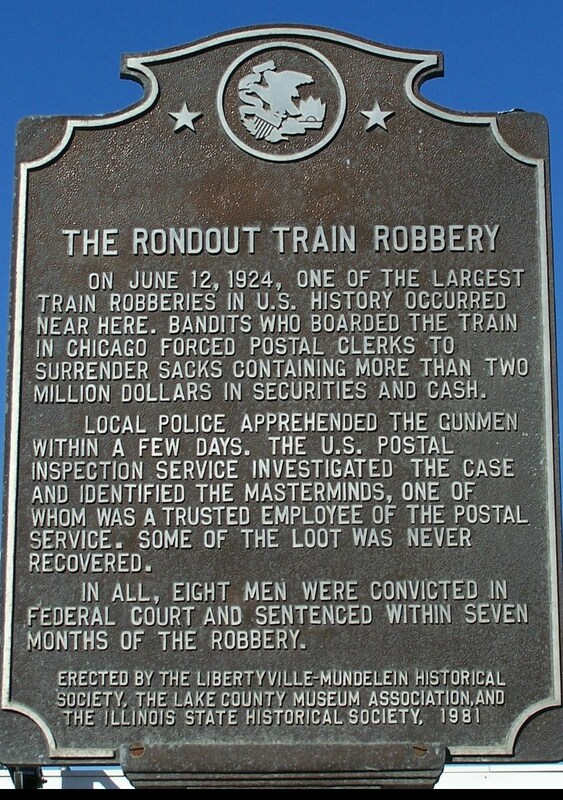 But what makes Rondout really interesting is that it was the site of the largest train robbery in US History. Four robbers would walk away with over $2 Million, all but $100,000 of which would eventually be recovered. Today, next to the railroad and north of IL 176 exists the plaque which tells the story of the robbery. 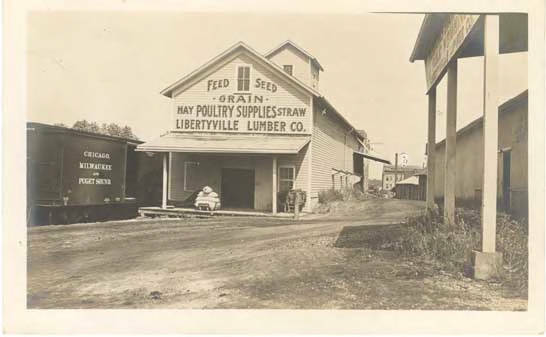 I hope you enjoyed this blog, and I hope further that I didn't leave anything out about the railroad history of the county. As always, if you have anything to add, please do so in the comments! Special thanks to the Dunn Museum of Lake County for some information here, as well as a thank you to you for reading! While much of the former US 66 is driveable, there are some parts are not. One of the first such roadblocks for would be travelers heading from Chicago to Los Angeles via the Mother Road, now known as Joliet Rd, comes just outside of Chicago in McCook, IL, where the former Route is closed between 55th St and East Ave. In 1998, cracks began developing in the roadway, and rapidly grew into pavement buckling. IDOT was forced to close the road, making traffic have to detour onto arterial streets. On either side of the roadbed, Vulcan Materials Company owned the land and was mining it hundreds of feet deep, causing the land under the road to give way. The cost of rebuilding the road to a safe condition would have cost $45 million and may not have been enough to solve the problem for good. IDOT instead chose to upgrade 55th St and East Ave and have traffic permanently use those roads to traverse through the detour, leaving this section of the Mother Road gone forever. Today the road is still there, although Mother Nature is quickly taking it back, and the mine is still fully operational on both sides. Vulcan paid a $12 Million settlement after a 12 year legal battle, but did not admit fault in the road's closure. While the road today is now owned by Vulcan and off-limits, that hasn't stopped Rich Dinkela from taking a drone to assess the closure for himself, as you can see below. I decided to take things off the rails with this blog and talk about roads. While all infrastructure needs to be updated over time, roads are rarely abandoned, unlike railroads. When a railroad line's existence can no longer be justified by its traffic volume, as a privately owned piece of infrastructure, it is sold off or liquidated, or abandoned. If the Main Street in your town is bypassed by a brand new six-lane freeway on the outskirts, it still serves a purpose to the townsfolk, and more importantly, is continuously funded by them. However, roads are not immune to abandonment either. Here are five roads you can no longer drive on today. Breezewood, PA is a strange little town when it comes to roads. It's home to one of the very few traffic lights on an Interstate Highway, as to continue east on I-70 requires you to do a loop in Breezewood. East of there lies a 13 mile former stretch of the Pennsylvania Turnpike. This stretch of road was abandoned to ease congestion in the two tunnels it crosses, which were formerly railroad tunnels for a line never built, and couldn't be expanded to fit the needs of a 4 lane tollway, reducing traffic to one lane in each direction in the tunnels. Abandoned in 1968, the road today is slated to become a bike trail. It is officially closed to the public, but that hasn't stopped people from using it. The road and tunnels are covered in graffiti, and there are many pictures of the road online. 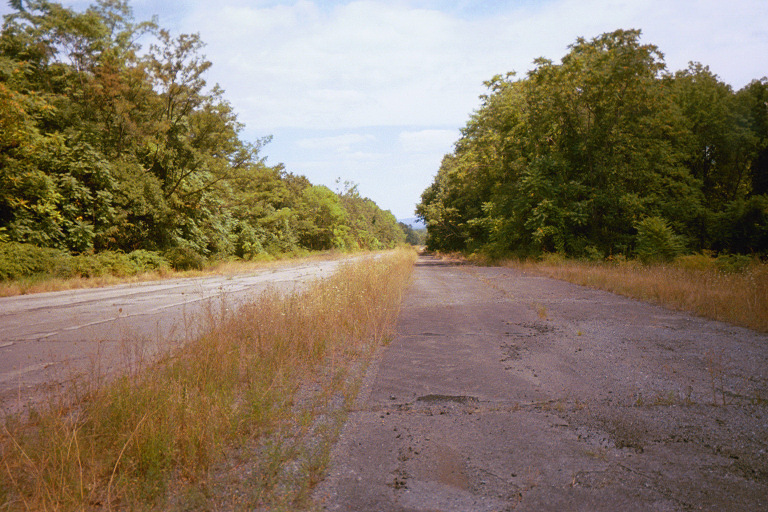 PennDOT has used the road for pavement marking tests, movie scenes have been filmed on it, and the military has stored weapons on it as well, so even if this road is abandoned, it still serves some niche purposes. Centralia is a ghost town, and below its almost entirely abandoned streets, a coal fire that started in the 1960's continues to burn, and will do so for several hundred more years. I could blog on and on about Centralia, but others have better than I ever could. 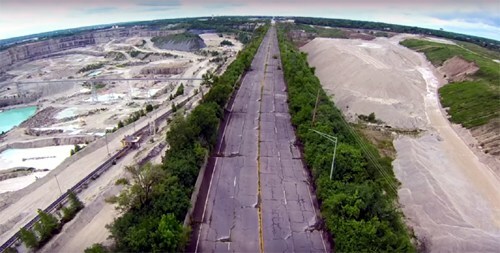 The video I found on Centralia is lengthy, but its a story worth hearing. Pennsylvania Route 61 entered the town from the south and turned west through the center of Centralia. The coal fire underground, however, made the road impossible to maintain, as chunks of earth were burned from the fires below. PennDOT made the decision to abandon the road and upgrade a smaller road to the east to be used as the new PA-61. While the old 61 is officially off limits, just as with the Turnpike, that hasn't stopped people from exploring it, despite the many warnings that the area is extremely dangerous. The Lincoln Highway is one of the oldest transcontinental roads in existence, and as every major road of its size, it has undergone many revisions to its route over the century it has existed. One of the most major revisions occurred in Utah west of Salt Lake City. The Lincoln Highway Association has painstakingly mapped the entire route, and its historic routes, here. The State of Utah preferred moving the Lincoln Highway to a more northerly alignment from its original more southerly alignment in the Great Salt Lake Desert. The Beehive State got its wish when Dugway Proving Grounds was opened in 1941, and the US Army took over a parcel of the desert the size of Rhode Island, including where the Lincoln Highway originally ran through. These pre-1941 alignments of the road still exist, but are closed off to the public. The northern route that Utah preferred would eventually become a Frontage Road for Interstate 80. Much like the Lincoln Highway, The Mother Road (or US-66) has been constantly upgraded and bypassed over its lifespan. While US 66 has been decommissioned, its Chicago to Los Angeles Route, and the towns it passed through, live on as American icons of a bygone era. Also like the Lincoln Highway, it has a number of enthusiasts willing to put the time and effort into mapping the entire route. 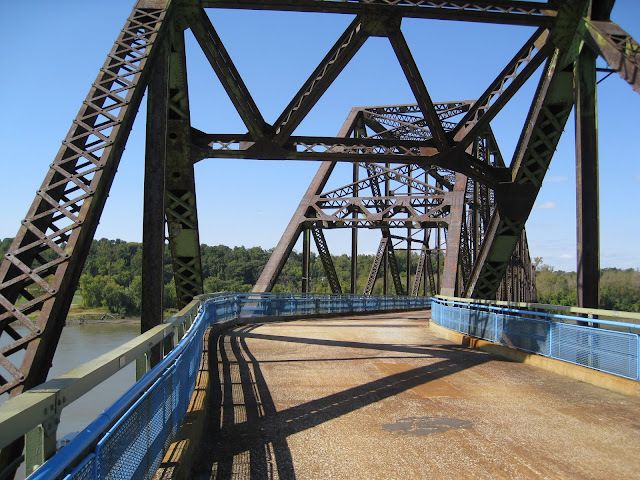 The Chain of Rocks Bridge was built in 1929 as a private toll bridge over the Mississippi River, and was incorporated into US-66 in 1936, allowing long distance travelers to bypass downtown St. Louis. The bridge was especially unique for its 22 degree turn in the center, which was put in place to allow riverboats to align with the current of the Mississippi. 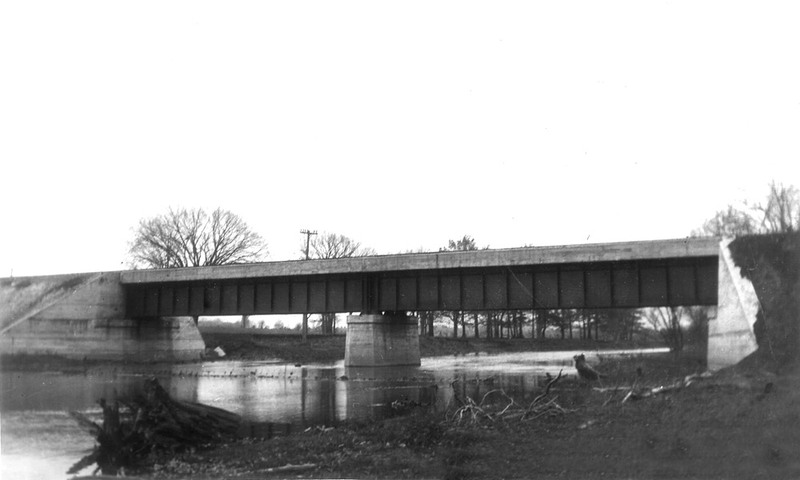 The bridge, much like the rest of US-66, became a victim of the Interstate Highway System, as a free (and much larger) bridge was built to the north along I-270, becoming functionally obsolete. It was slated to be demolished in the 1970's, but was thankfully saved. Cars can no longer drive on it, but it is still in service as a bike trail from Illinois to Missouri. The Park East Freeway in Milwaukee, WI was built in the 1970's, much later than the other four roads on this list. And while the former roads were all part of much larger systems, the Park East Freeway was only a mile long. In 1948, freeways and expressways were the way of the future, and cities all across the United States began to envision their freeway networks. Milwaukee was no exception, and began plans to build all of their freeways that run through the city today, as well as few that don't. Enter the Park East Freeway. The Park East was a spur from today's I-43 to the north side of Downtown Milwaukee at Jefferson St. It was intended to head south from there and join the Lake Freeway (which was built and is I-794 today). See the map below for the entire route. 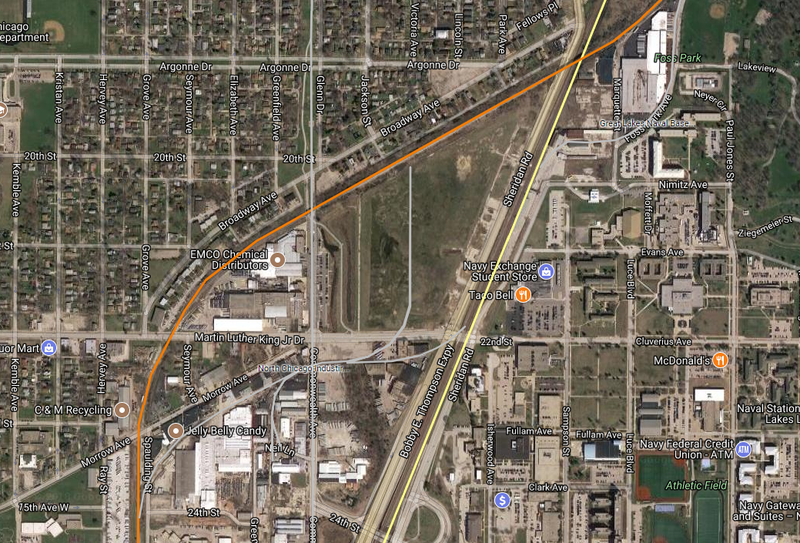 Only the route from I-43 to Jefferson St was built, leaving it as sort of a freeway to nowhere. The late 60's and early 70's began a period of transition in regards to beliefs about freeways, and as such, people were no longer supportive of large elevated structures carrying traffic above them. The fact that it wasn't built in its entirety meant traffic volumes were very low, and in 1999 it was voted to be demolished, returning the downtown blocks it occupied to retail and housing developments over the next 15 years. This was part of the Freeway Revolts of Milwaukee, and other cities, which resulted in many freeways getting cancelled. What makes this unique is that this was actually built, at least partially. Another example of a demolished highway is soon to come in New York City. The Sheridan Expressway, once I-895, is slated to be rebuilt as a parkway in the coming years, and is now State Route 895 as a result. The road network is in a constant state of flux, and while it is rare for parts of it to be abandoned, there are many examples of roads which are no longer driveable. Know of any that you'd like to share? Let us know in the comments! The High Line is one of the best known Linear Parks in the world. I was lucky enough to experience this New York City gem for myself during a weekend trip on Cinco de Mayo. Here are some photos, a little history, and my own opinions of the park. The High Line does an excellent job of keeping the history of the line preserved, and accessible for future generations to understand. In this railfan's opinion, The High Line raises the bar for rail trails across the country. While many trails succeed in preserving and informing the users of it's past life as a railroad and the history behind it, The High Line takes it a step further by actually incorporating abandoned railroad tracks into it's design. These weren't the original tracks, but added as part of the landscape during construction. Further, the history and purpose of the High Line is well documented. The High Line was built as a response to the numerous deaths and accidents that occurred when the railroad was at street level. The "West Side Cowboys" would ride in front of trains warning pedestrians of oncoming train traffic, but this solution ultimately proved insufficient. The elevated line was built in the 1930's and active until 1980, when it sat dormant until it reemerged as the linear park we are familiar with today. The High Line is designed to tell a story of a city's adaptation over time, from an industrial and working class past, to a decline, and a rebirth in the early 2000's as a tourist destination. While I won't delve too deeply into the history given how well the story has been told, I suggest checking out The High Line's Website if you're interested, or going here yourself! Southern end of the High Line. As a railroad, this viaduct once extended down Washington St all the way to near the Holland Tunnel. I visited The High Line in the morning before many of the crowds began, and thus my experience was of much tranquility in an otherwise bustling city. Not to say we were alone on the trail, far from it, but compared to walking across the Brooklyn Bridge, it was much easier to take in the sights and sounds, rest for a bit, and take the High Line in at your own pace. We began from south to north, at Washington and Gansevoort St in the West Village. As the park traverses northward, the area has less foliage and becomes more urban and dense. This transition is relatively gradual. The line traverses from Lower West Side, Chelsea and up to the West Side Yard, which is being redeveloped with new development and skyscrapers, while much of the south end of the line retains an older, more industrial feel to it. Public Art is also displayed about the High Line, and apparently changes from time to time. In addition, The High Line offers numerous views of the city below, from blocks as well as new developments on the north part of the line. There are even a couple areas designed to sit and view the city perched atop the line. The High Line also traverses through a few buildings, just like it did in it's railroad days, giving an even more unique view of the city, all without having to deal with drivers and bike riders on the streets below. 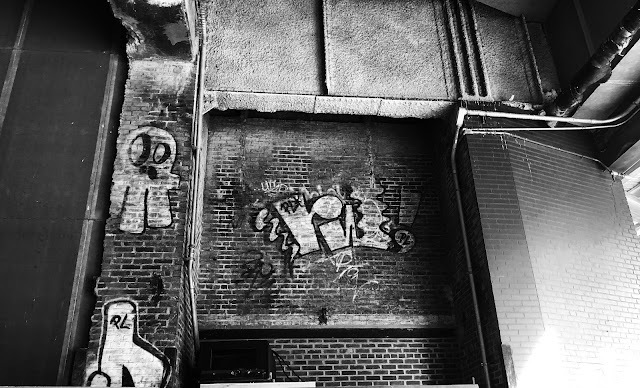 The line itself is relatively free of graffiti, but there are some interesting examples of it on the buildings near the line. At around 10th Ave and 16th St lies an abandoned spur which served the Nabisco factory. 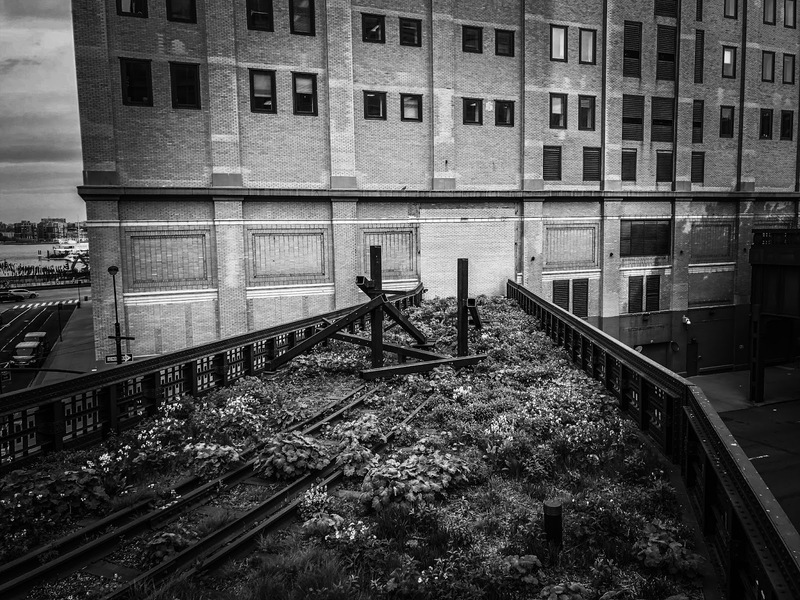 While once part of the High Line, it sits abandoned right next to it. About the only criticism I have of the High Line is the lack of rolling stock, which in my opinion would help preserve it's railroad history; this spur would make the perfect spot for an abandoned boxcar to call home. The walk is about 1 1/2 miles, all of which is straight, and is meant to be taken at a leisurely pace. Although there were a few joggers on the trail, there is enough room (at least when I visited) that you never feel too cramped, or that you're unable to go at your own pace and explore. Near the North end of the line at 34th St. I was sad to see it end. 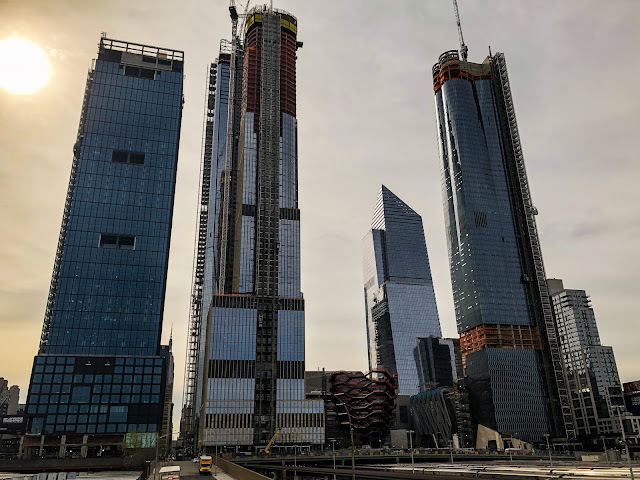 The largest, the Hudson Yards Redevelopment, is still under construction, but these gargantuan buildings definitely change the skyline of the West Side of Manhattan. Overall, there's pretty much something for everyone along The High Line, from those looking for a break from the otherwise hustle and bustle of the city, to the railfan or urbanist looking for historic preservation in our developing world, to those wanting to get up close and personal with new sights of New York City. I would definitely recommend coming here at least once. My pictures didn't do the line justice, you must see it for yourself. The line comes to an end at street level on the south end of 34th St, just north of the rail yard.